Why do we underpin our properties? To resolve a problem or have more room in the house. 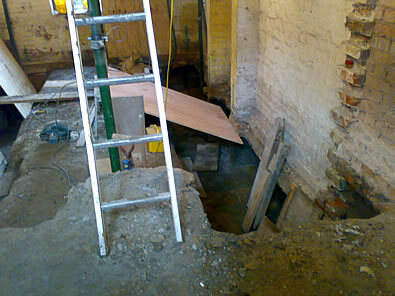 The underpinning service is a precise and responsible construction. It requires special and competent attention. That is why we love doing it. It takes time and effort to deal with the underground water problems especially when other challenges exist such as difficult ground conditions and subsidence. To deal with all this we provide property owners with a high level of personal service whilst utilising different designs & techniques during all stages of work. Our experienced structural engineers have the appropriate and economic solution for you. Mass & reinforced concrete foundations.